If you live in a suburban neighborhood, you have most likely interacted in one way or another with your Homeowners’ Association (HOA). These organizations are created under the housing deeds signed by homebuyers. HOA enacts rules that govern certain aspects of how the neighborhood operates and they also enforce existing restrictions, covenants and regulations. In most cases, homeowners’ must obtain permission from their homeowners’ association before starting a large construction project. The project must conform to existing rules governing design, hours of construction, and construction type. Where do homeowners’ associations gain the authority to control the construction projects of residents in their neighborhoods? A homeowners’ association enacts its own covenants, conditions and restrictions. As all whole, these rules seek to govern and restrict the behavior of residents. The authority of the organization stems from the bylaws and deed signed by homebuyers. The very signing of the bylaws creates the authority for the organization to govern the residents through its covenants, conditions and restrictions. A covenant is a promise in a contract to either perform an action or refraining from performing an action. For example, the promise to pay the monthly HOA fee is a covenant. A condition is a term in a contact whose occurrence or nonoccurrence determines the rights and duties of the parties to the contract. Finally, a restriction is a certain limitation that cannot be broken. As a signatory to HOA rules, you are bound and any violation of such rules is a violation of the contract. However, HOA organizations operate in a bureaucratic fashion when addressing violations of the HOA rules. If you are building a fence around your background and you fail to check the bylaws for the acceptable height, you may end up with a longer fence than what is allowable. In most cases, an HOA will send a notice of noncompliance and a request to come into compliance within a certain timeframe. Usually, after another warning or so, an HOA can apply fines or even commence a legal suit against the homeowner. Given the HOA bylaws constitute a legal contract between the homeowner and the HOA, failure to abide by the bylaws is considered a breach of contract. Still, parties can normally resolve a fence issue out of court. Yes, your HOA can bring you into court. In this instance, the HOA will seek to compel a homeowner to obey its rules (to act or refrain from acting). In Florida, HOA disputes are referred to mediation as a first step. This is because Florida requires mandatory referral for disputes involving covenant enforcements. If mediation does not work for the parties after a good faith attempt, a formal legal filing is allowable. 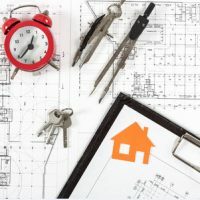 Are you currently experiencing a construction-based HOA dispute? Attorney Brendan A. Sweeney is an experienced construction law attorney with years of experience litigating and advising on HOA and construction matters. Contact us now for a consultation.